Nothing unites Singaporeans like the love for durians. Now if you love durians as much as the team at Discover SG, then you’ll understand the struggle of transporting your durians home especially if you don’t own a car. You can’t bring durians on public transport and if you’re lucky, you might find a taxi driver that is willing to sacrifice his car for your durians. 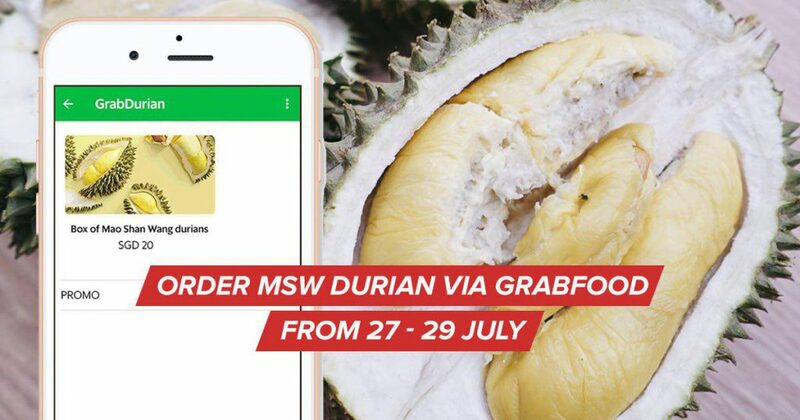 To solve your durian dilemmas, Good Guy Grab is back with #GrabDurian so you can get fresh durians delivered to your doorstep! You’d be glad that #GrabDurian is back for the fourth year running and best part, delivery is free! If you still haven’t got your durian fix or you’re just craving for more, GrabFood has got you covered from 27 – 29 July from 2 – 5pm. All GrabDurians are 100% Pahang Mao Shan Wang. This is a province traditionally known for having exceptional MSW durians grown from old trees. 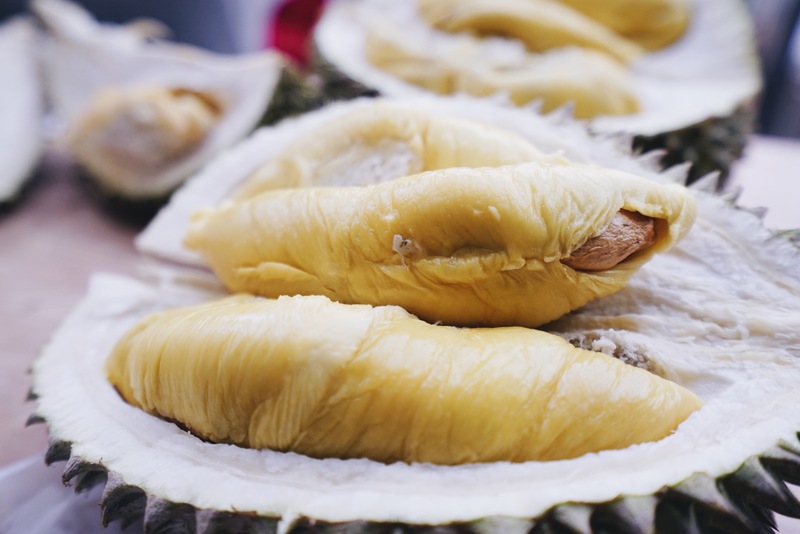 The durians were freshly delivered to Singapore on the morning of the day that you would’ve received them. Each box of GrabDurian costs S$20, and is guaranteed to have at least 400g of freshly de-shelled durian inside (at least one durian’s worth of flesh), packed for your convenience and ready to be consumed. Do take note that they only deliver to the following areas, and those within the vicinity of these locations: Jurong West, Jurong East, Bukit Panjang / Choa Chu Kang, Buona Vista, Tiong Bahru, Toa Payoh, Mountbatten, Bedok, Simei, Pasir Ris, Paya Lebar, Ang Mo Kio, Punggol, Yishun, Woodlands. GrabDurian will be available for pre-orders at 1pm on Friday 27th July, and at 2pm for regular orders on Saturday and Sunday the 28th and 29th of July. Keep an eye on your GrabFood app then! So what are you waiting for? Download the GrabFood app so you and your family can enjoy freshly picked durians delivered to your doorstep this Friday!